Have you ever dreamed of traveling to a foreign country? Learning about the culture and history? Walking through the historic or religious sites that are centuries old? Do you have a desire to visit Spain? If you follow my blog you know that I’ve done that. Twice! In Segovia, Spain on mission, October 2014. Since those two trips I’ve become somewhat of an ambassador for Spain, sharing about the country, its culture, and the religious climate any time the opportunity arises. I’ve come to realize that Spain is a very popular tourist destination with Americans—often running into people who have traveled there. I’ve not heard a bad review of this beautiful country. Easy to communicate despite the language barrier. And a place where Americans and our tourist money are welcomed. So do you want to go to Spain? Next spring, missionary and Pastor Josh Fajardo, from the church where I spoke last fall, is leading an organized prayer journey through many of the same places that I traveled to on my personal pilgrimage in 2013—from Madrid to Southern Spain. As a writer who fell in love with Spain, and has a pulse on the spiritual climate, my desire is to put Spain on the radar, so to speak, for others. 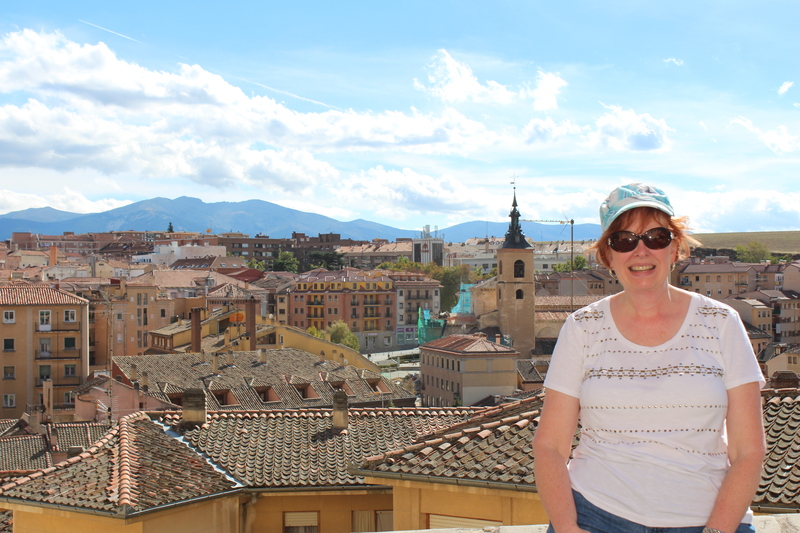 So I’m putting on my ambassador hat and inviting you to follow your heart to Spain! This 10-day trip to Spain, scheduled for April 14-24, 2016, starts with a women’s prayer conference in Rivas, a suburb of Madrid. The conference is sponsored by Women’s Ministries International, a nonprofit that supports and empowers programs in under-developed countries. Male attendees will have separate speakers and be involved in other activities during the women’s conference. During the 10-day trip to Spain travelers will ride via motor coach to sites with historic and religious significance in Madrid, Toledo, Granada, Málaga, and Seville. Each day of the prayer journey portion of the trip starts with a devotional and time spent in prayer. The mornings are organized group time visiting cathedrals, synagogues, mosques, museums, or royal palaces. After the traditional midday meal, you are free to explore the city and familiarize yourselves with the culture and the people in a more personal way. Everyone reconvenes over the evening meal (very late by American standards) to share what God is doing in their lives and where He met them in the streets of Spain. I can also attest to the breadth of religious history and context that Pastor Josh has to impart to those on the trip. 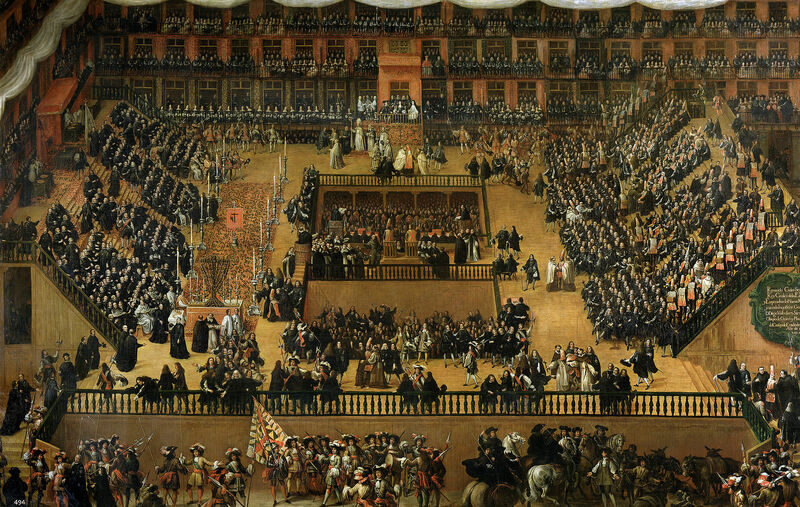 For instance, before I returned to Spain last fall, Josh told me about the auto de fé (religious courts) held in Madrid’s Plaza Mayor during the Spanish Inquisition several centuries ago. I was shocked to learn that after the judgment was pronounced, heretics were burned at the stake (in Plaza Mayor). 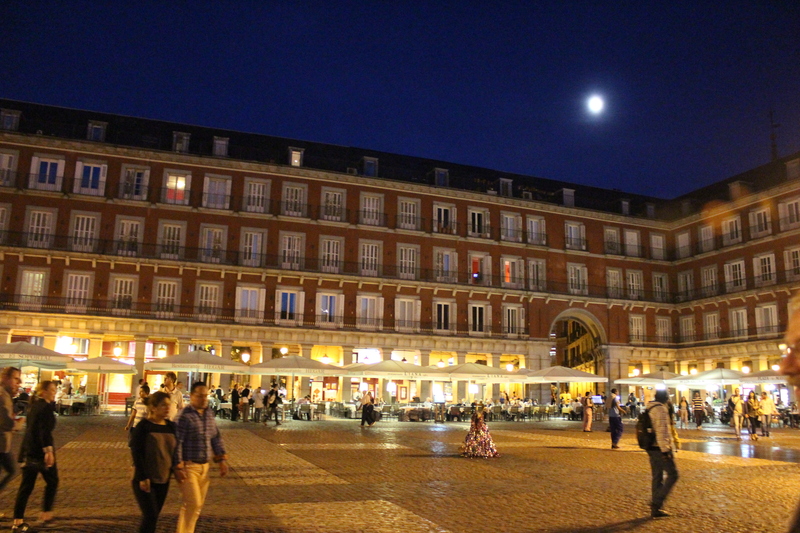 When I returned to Madrid for the CR mission last October, I visited Plaza Mayor again and saw it in a new light. Josh also told me to look for the sculptures depicting scenes from the religious courts. This historic scene along with others was barely noticeable on the backs of public benches surrounding the lamp posts in the outdoor plaza. Plaza Mayor is one of the most popular tourist sites in Madrid, but there is no marker or mention of this piece of history at the plaza. Having this new spiritual context of Plaza Mayor led me to pray for healing in the country in new ways. 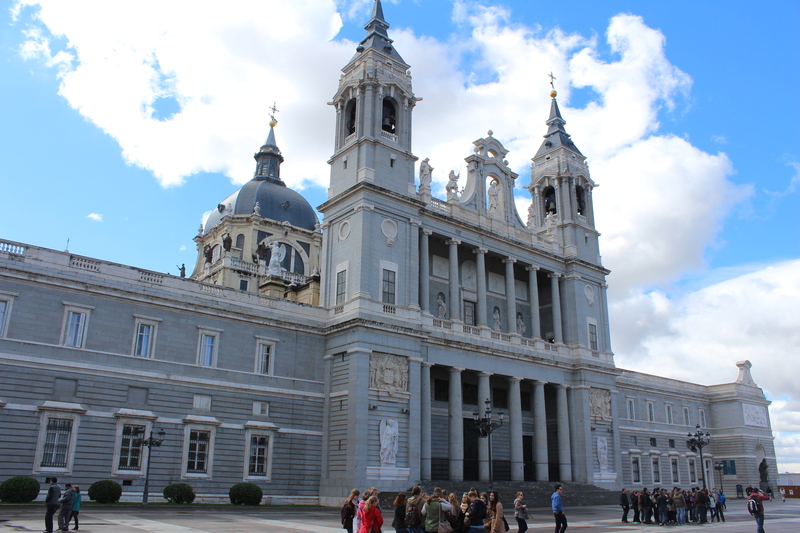 God got a hold of me and gave me a heart for Spain and the need for spiritual renewal in the country during my first trip there, which was not part of an organized tourist package. What I reference above about Plaza Mayor is just one example from my own personal experience of how seeing a country from a spiritual perspective (like Josh provides) makes it a truly enriching, moving, and life-changing experience. It will awaken stirrings in your heart for the people of Spain. I could go on and on about Spain, and as a self-proclaimed ambassador for the country, I will in time write more about it. For now, check out the brochure about the conference and prayer journey, Spain-Prayer-Journey-Brochure-2016, or visit the registration page at Women’s Ministries International.